Kristin's Kitchen is a food blog focused on creative vegetarian recipes and indulgent desserts. Kristin Wendell, founder of Kristin's Kitchen, is a full time food blogger and boy mom of a toddler and newborn. After becoming a vegetarian in 2014, Kristin was quickly bored of standard vegetarian recipes and set out to create her own using the creativity she used in her baking. 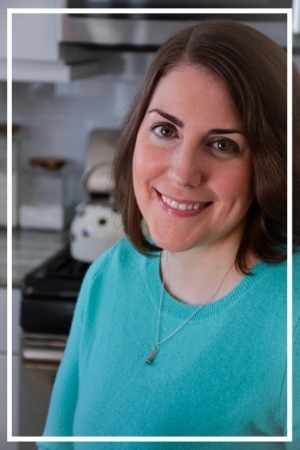 She has a passion for creating delicious foods and sharing them with her friends, family and blog readers. Kristin lives outside Boston with her husband, sons and two adorable cats.